My vacation in the Republic of Benin was a much needed one. 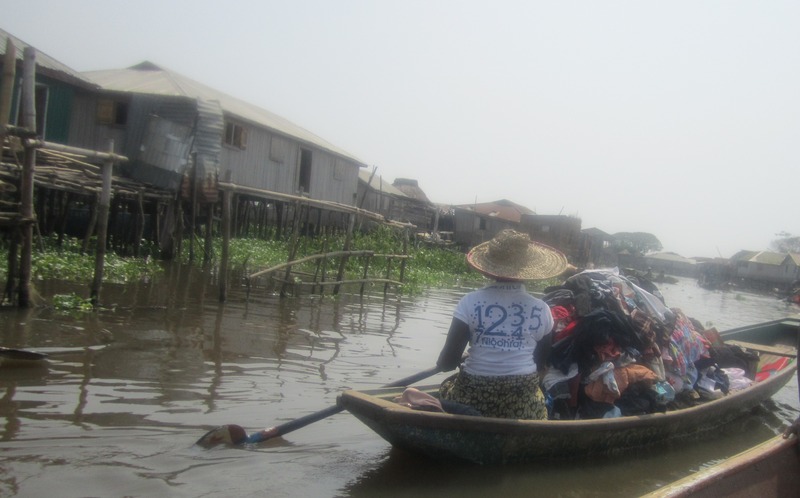 After 3.5 months in Nigeria, I really needed a time out – Benin was it! I went overland from Nigeria to Benin. It was my first land border crossing in Africa and I was sort of nervous. But it went well. I didn’t have to do much; the international bus I took from Lagos to Cotonou got our passports stamped. I guess that is one of the benefits of the ECOWAS agreement between West Africa countries. The journey took 6 hours. I did not go alone; my Nepali friend came to visit in Nigeria so we went to Benin together. Cotonou is my favorite city in Benin thus far. Although it is not the capital, it has way more things to do than Porto Novo (the capital). 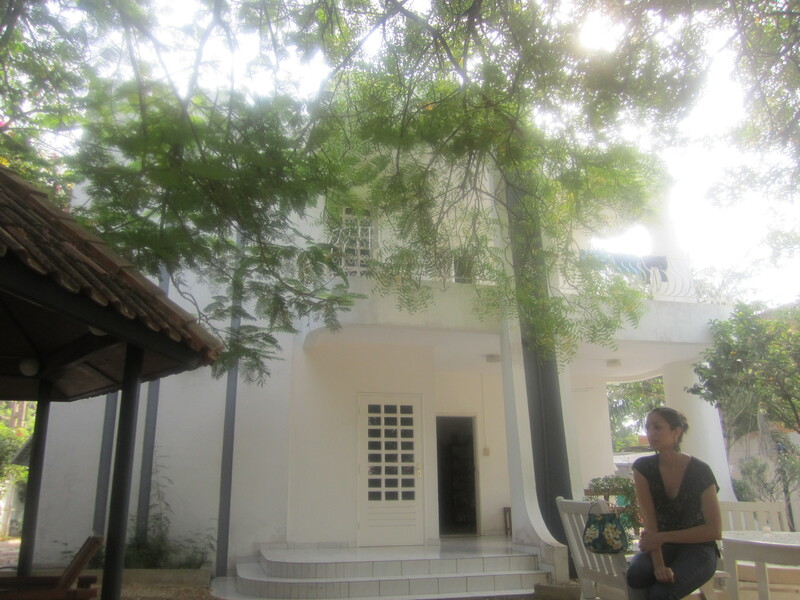 We stayed in a nice guesthouse in Cotonou – a room with double bed cost 12,000 CFA per night, bathroom is shared. We did a lot in Benin. 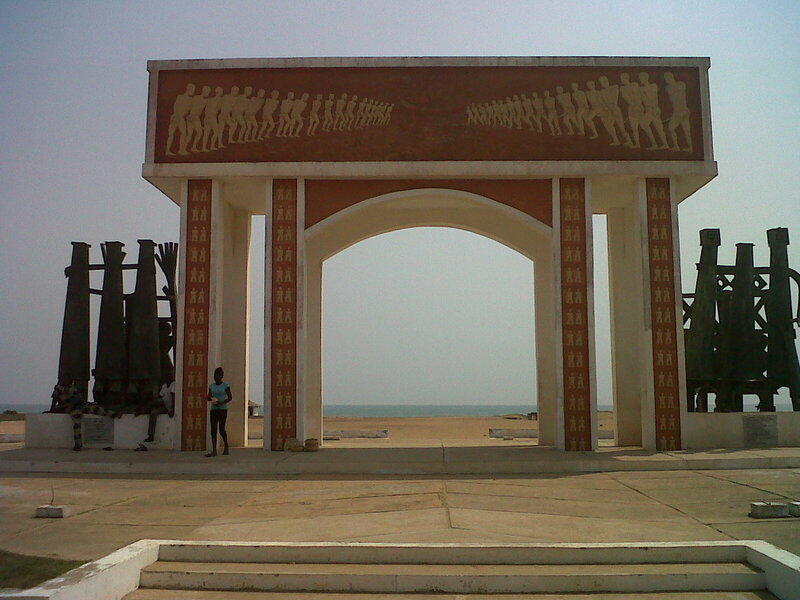 We took day trips to various cities including Ouidah, Abomey, Porto Novo and Lake Gauvie. The good thing about Benin is that these cities were between 1-2 hours apart. 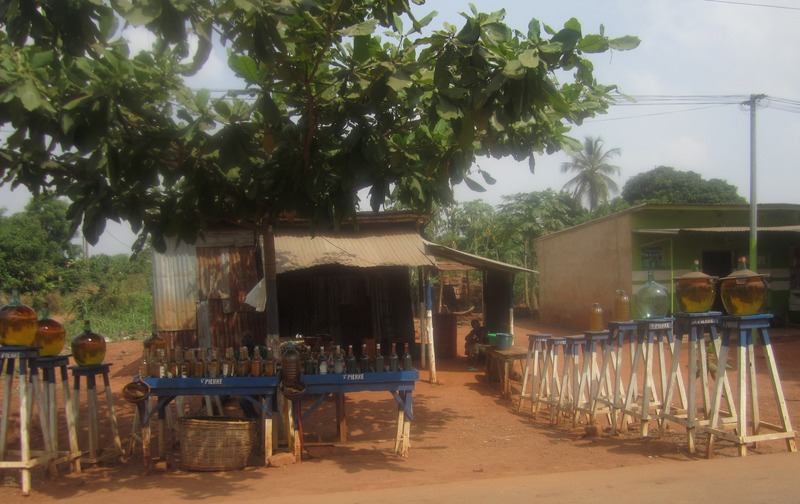 One of the most impressive sights I’ve seen so far in my travels was in Benin – in a city called Gauvie. This city is located on a lake, that is the houses, schools, churches, mosque, salons & everything is built on the lake. Even the market! In the market on the lake, women showcase their wares in their canoes and folks come to them to buy. The history behind the village on the lake is phenomenal. During the slavery era which the Dahomey kings participated fully and captured people to be sold into slavery, many villagers escaped and founded a village on the lake. This prevented them from being captured since the Dahomey soldiers were forbidden from going close to lakes, rivers and streams. Other activities I enjoyed included visiting several museums, the point of no return and the former Dahomey kingdom of Abomey. I was also happy because things were so cheap in Benin. I felt like a millionaire every time I exchanged my Nigerian Naira to the Benin CFA. I don’t speak French but language wasn’t much of a barrier since I spoke Yoruba (my native language & also a widely spoken local language in Benin). We met up with a couchsurfer; she is so beautiful and cool. She went to the city of Ouidah with us and along with the Senegalese guys we met at the guesthouse, we went ‘clubbing’. I put ‘clubbing’ in quotation because apparently in Benin, people prefer to drink than dance. So there is not much of a club, it is usually a bar or lounge with a little dance floor space. 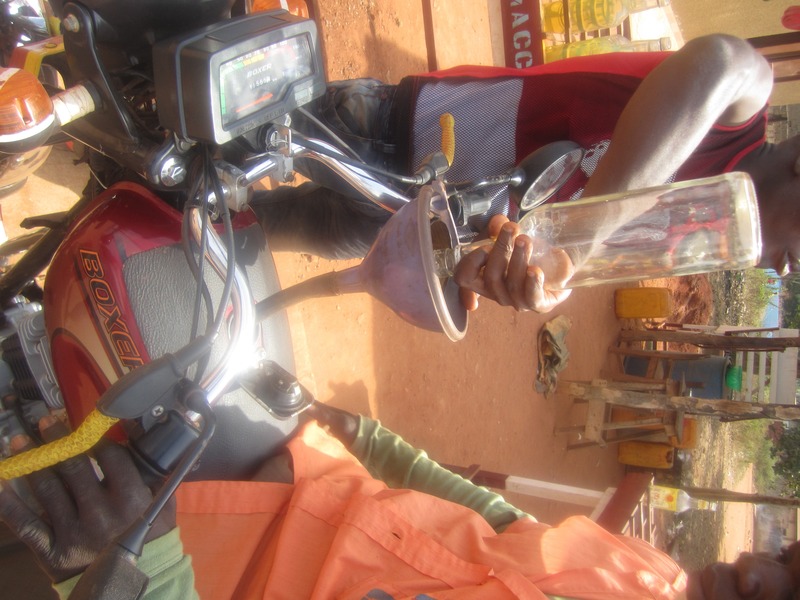 Two things unique to Benin – (1) Fuel/Gas/Petrol is sold on the side of the street. They are put in jars of various sizes on a table. I saw only two or so gas/petrol station and these weren’t your typical station. It was just one pumping machine in a small craved out section by the street. (2) Taxis are rare to come by. The preferred mode of transport is the zem (motorbike). In all, I enjoyed my one week vacation in Benin and I hope to return soon. 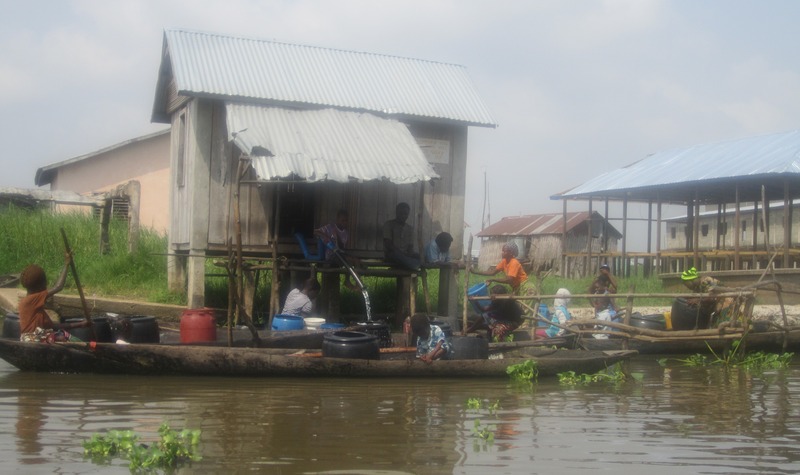 I will still blog about my experience in Nigeria since my move in Sept 2012. So much has happened and I’m not quite sure how to begin writing. But I promise, I will post something in the next 2 weeks. Posted on February 12, 2013, in Benin and tagged Abomey, Benin, Cotonou, Lake Gauvie, Ouidah, Porto Novo. Bookmark the permalink. 3 Comments.